When you’re talking about fertilizers, there are only 3 nutrients you really need to know about. These are nitrogen (N), phosphorous (P), and potassium (K). Every fertilizer contains one or all of these three nutrients, and each one affects your plants differently. There is something called the NPK value, shown in a series of numbers (like: 10-10-10 or 10-5-10) that will show you the ratio of each ingredient in a specific fertilizer. They always show up in the same order, showing the N value first, the P value next, and the K value last. You won’t need a lot of math experience to get the right fertilizer, just understand which nutrient your plants need more, or if they need a certain balance of nutrients. Don’t go running off to buy a fertilizer just yet, though. We haven’t gotten to the actual types yet, or how they can affect your plants! 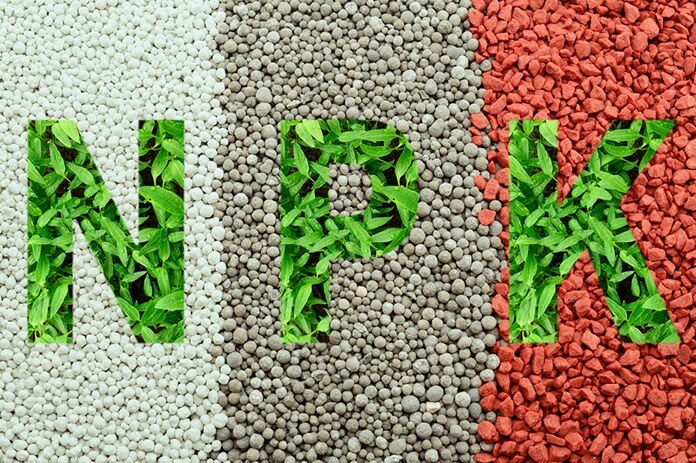 Now that you’ve gotten an introduction to NPK values in fertilizers, you can completely forget about NPK. At least, for organic fertilizers. These fertilizers are made from completely natural and organic materials like manure, compost, animal products, or plant products, and they don’t have a measurable amount of any specific nutrients. You might see NPK values on the fertilizer bags, but these are sometimes estimations based on what we know about certain ingredients, especially manures. Don’t be disheartened. Organic fertilizers can be a very good source of nutrients for your garden, and are usually recommended more than inorganic fertilizers. They can be easier to find, some can be made at home (did someone say compost? ), and they won’t burn your plants. However, organic fertilizers tend to work more slowly and release nutrients over the long-term, not the short-term. This is great if you’re trying to build up your soil, but not if you need a sudden shot of nutrients to help your plants. Inorganic fertilizers are where the NPK values really matter. These types of fertilizer can be made up of a wide variety of chemical components that contain the necessary nutrients for plants. 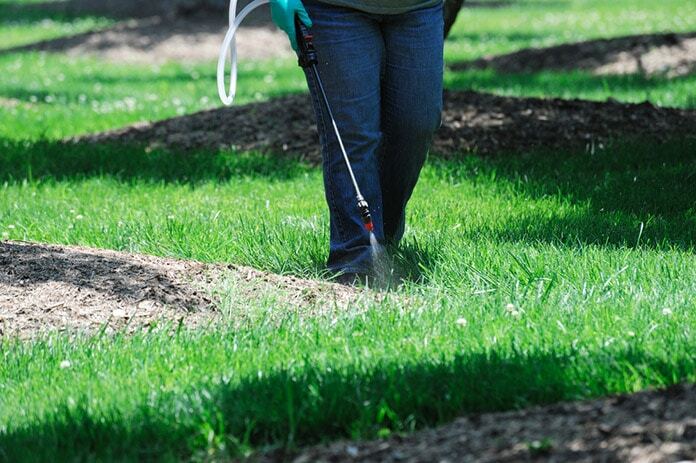 Knowing which nutrients are needed, when they are needed, and how they will affect plants in your environment is critical if you want to succeed with inorganic fertilizers. Use inorganic fertilizers to solve short-term nutrition needs in your garden. When your plants are lacking a nutrient, you can get it to them fast with the right inorganic fertilizers. Each nutrient deficiency in a plant will show up in one way or another. If you already know your soil is lacking a certain nutrient before you’ve started planting, you can add a fertilizer to your soil before you place seeds or seedlings to help the young plants thrive. 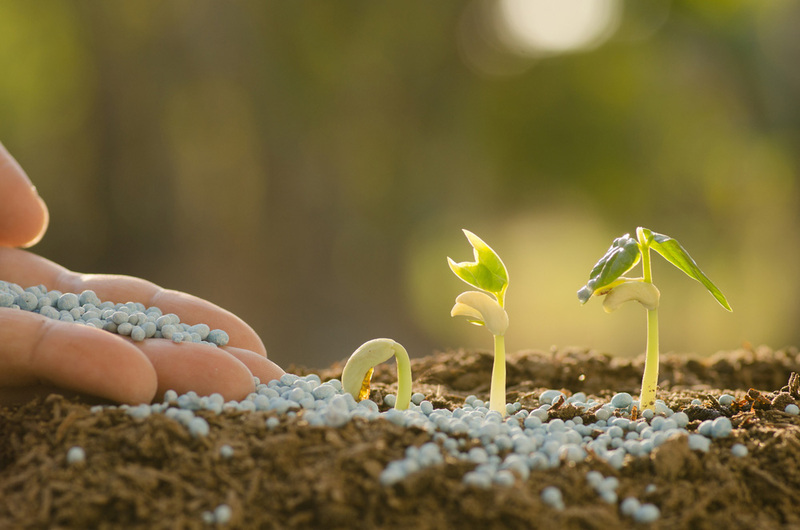 Ready to learn about the main types of fertilizers? Here we go! 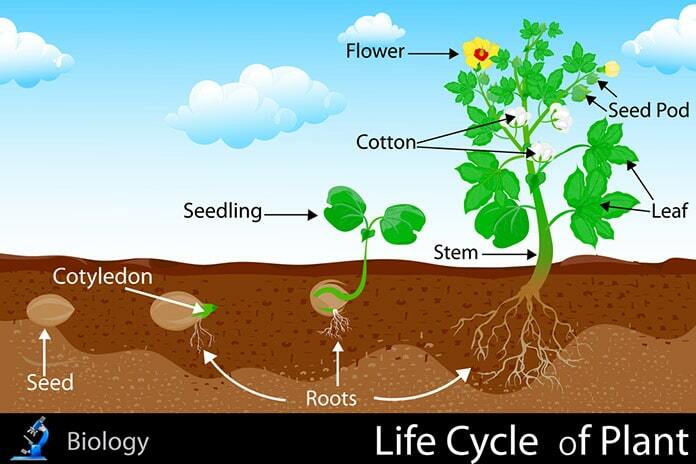 As a plant nutrient, nitrogen is responsible for plant and leaf growth. It’s broken down into the soil by water, where it becomes ammonia. This ammonia gets absorbed into plant roots and used to grow the foliage of the plant. This ingredient is very useful in the middle stages of a plant’s lifespan, when it’s encouraged to grow large and put out more leaves and stems. It’s not good to use nitrogen when you want more flowers and fruit, since there is a different ingredient needed for those things. Some plants won’t need nitrogen at all. Plants like legumes (peas, beans, etc.) actually put nitrogen back into the soil, so they never need nitrogen fertilizer! You can find great sources of nitrogen from inorganic and organic fertilizers. The most common inorganic fertilizers include urea, ammonium sulfate, ammonium nitrate, anhydrous ammonia, UAN solutions, calcium nitrate, potassium nitrate, sodium nitrate, and diammonium phosphate. Phosphorous is a nutrient that plants need throughout their entire lifecycle, from seedlings to maturity. It’s necessary for the structure of every plant. Phosphorous contributes mainly to the root system and stems or stalks of a plant. It also improves flowering, seeding, and fruiting for many types of plants and trees. This nutrient will improve the quality of your soil and help plants to absorb nitrogen as well. Most signs of phosphorous deficiency are difficult to spot. A lot of plants have stunted growth, especially in the early stages, but you may not recognize it until it’s late in the growing period. Because of this, you can always opt to put phosphorous fertilizers into the ground before you plant your seeds or seedlings. Most sources of phosphorous are long-lasting and activate slowly, so you can put the fertilizer in the ground months before planting time. Dig up the soil and put your fertilizer at root depth for best results. Gardens with sandy soil need phosphorous more than those with clay soil or light, loamy soil. Plants can’t absorb all the phosphorous you put into the ground, so don’t bother over-doing it or you may ruin the balance in your soil. Common fertilizers that contain a high concentration of phosphorous include: diammonium phosphate, monoammonium phosphate, triple superphosphate, ordinary superphosphate, and ammonium polyphosphate. This nutrient is used most often in the growth stages of a plant. It’s vital for photosynthesis and for transforming other nutrients into food that the plant can use. The right levels of potassium in a plant will help it to growth deeper and stronger roots that protect from drought or lack of other nutrients. This is also the nutrient that’s going to slow down any diseases that might find their way into your garden. There’s no gold standard on when you should apply potassium fertilizers, because that can be drastically different depending on what you’re growing. But, there are signs that there is a deficiency in this nutrient, and if you see those signs you should always apply a fertilizer to reverse the damage. Most plants show yellowing or browning around the edge of leaves, starting at the bottom of the plants and working up. The leaves will eventually start to die and fall off, if the deficiency gets even worse. You should put your potassium fertilizers as close to the roots as possible, since the nutrients aren’t going to leach out and they tend to be slow-releasing. The most common fertilizers you’ll find to add potassium are sulfate of potash and muriate of potash, but you can also get it from these fertilizers: potassium sulfate, potassium chloride, and potassium nitrate. Concentrated liquid fertilizers are usually diluted into water and used to water you garden. You can easily spread them over a large area this way, whether you’re fertilizing a small garden patch or your entire grassy lawn. Some ﻿﻿﻿hose attachments can even help you spread the liquid concentrate over and area more easily. Powdered fertilizers are also usually mixed with water and applied through watering the area you want to fertilize. 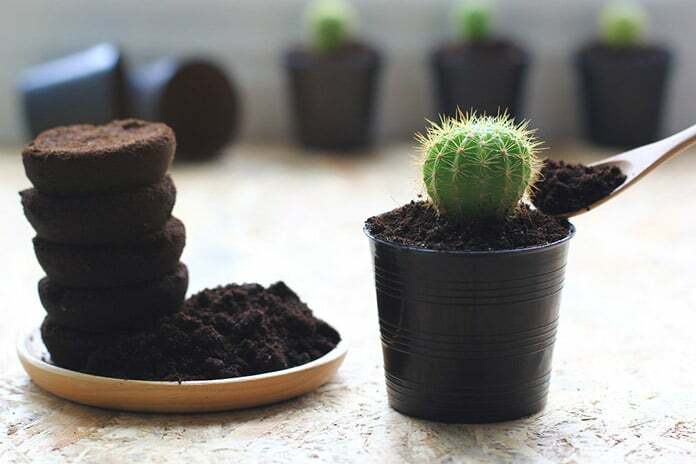 By itself, a powder won’t be absorbed well by a plant, and it needs to mix with the water first to activate it and get it to the plant in a useful form. 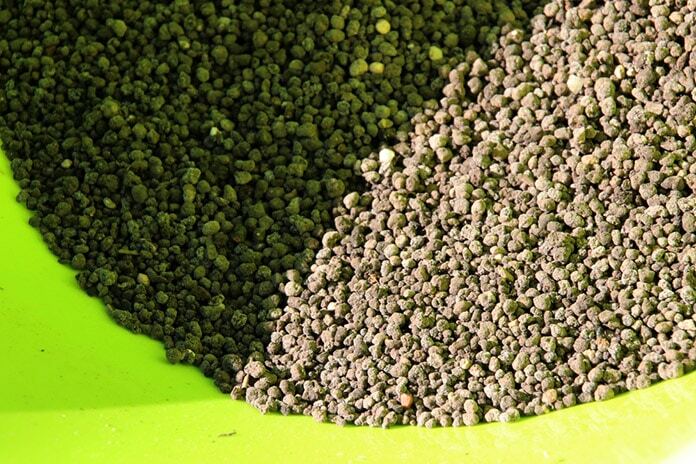 It’s easy to find many types of fertilizers, especially nitrogen fertilizers, in granules. These can easily be spread around the top of the garden soil, and the nutrients will sink down into the ground as the plants get watered. If you want your garden to be as healthy as possible, you’ll probably have to fertilize it at some point. 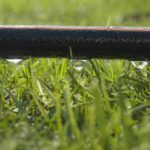 You can use organic or inorganic fertilizers to make soil healthier, and you can also use specific fertilizers to fix and nutrient deficiencies you encounter while your plants are growing. Learning about the 3 main types of fertilizer can absolutely transform your garden!Got any gardening success or horror stories about fertilizing? We’d love to hear about your experience! Drop a comment below to share your story. I really like the idea of using organic fertilizers. That’s nice that they work over a long period of time. Most of my plants are pretty healthy, so I just need a fertilizer that will keep them that way. I like that you mention that inorganic fertilizers come in many different forms, depending on how you use them. I’ve been thinking about starting a garden starting in the spring, and there was a lot about fertilizer that I didn’t know. I’ll have to do more research to be sure that I get the right kind to really help my garden thrive. Most people are quite familiar with the term waste and compost. But not many people know that these days some companies are manufacturing the machines which can turn waste materials to compost. 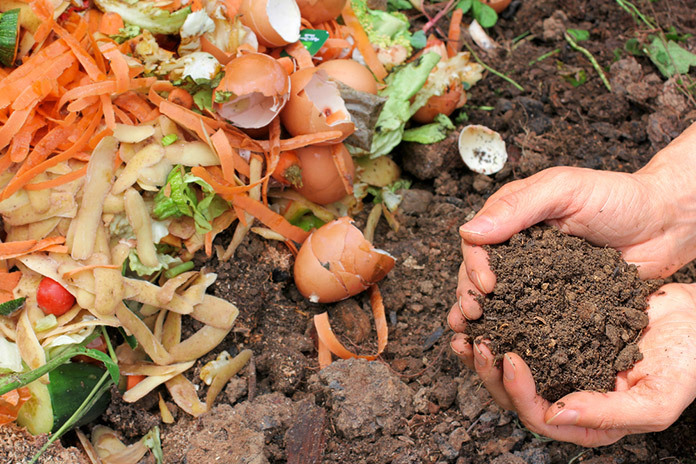 Some new technologies are also there which can turn food wastes into high quality compost. You can put anything in that machine and it will give you super high quality compost which can be used to fertilize the soil and farming. Please spell the element P correctly. It is phosphorus, NOT phosphorous. The latter is an adjective for a lower valence form of phosphorus (+3) as opposed to its usual +5 valence. PuffyCarrot.com is a participant in the Amazon Services LLC Associates Program, an affiliate advertising program designed to provide a means for sites to earn advertising fees by advertising and linking to Amazon.com. Additionally, PuffyCarrot.com participates in various other affiliate programs, and we sometimes get a commission through purchases made through our links.